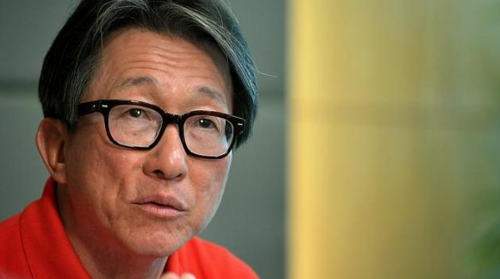 Singapore has to move fast towards enhancing workers' skills and creating new jobs or risks regressing into "an ordinary economy and ordinary workforce", labour chief Lim Swee Say said on Monday. The country should also venture ahead of others into areas such as future manufacturing using robots, future services where customers are more involved, and a smart nation where technology is more integrated, said Mr Lim in his final May Day message as National Trades Union Congress (NTUC) secretary-general. Failing to improve on the skills and jobs fronts may lead to a rise in unemployment, structural unemployment and underemployment. "We could then regress and become just a normal country with an ordinary economy and ordinary workforce. This will be painful," he said. Mr Lim, who will move from NTUC to be Manpower Minister next week, also paid tribute to the Pioneer Generation, as well as all workers and tripartite partners, for their contributions to Singapore's transformation over the last 50 years. They have helped secure the economic conditions workers here enjoy, he said. These are a tight labour market with enough jobs for workers of various ages, fair wage increases and bonuses, a higher re-employment age ceiling and industrial peace. Separately, NTUC president Diana Chia said in her May Day message that while continuing to strengthen tripartism at the national level, it needs to be brought to the sectoral level as well. "Government agencies work with employer groups and trade unions in each sector to chart out strategies that will deliver productivity and skills breakthroughs so that Singapore and Singaporeans can continue to prosper," she said.